Naomi Watts attended the 2019 TriBeCa Ball at the New York Academy of Art on Monday (April 8) in New York City. I’m not sure this will go down well with the majority, but I love how this Stella McCartney’s floral gown infuses timeless eveningwear glamour with a relaxed sensibility. 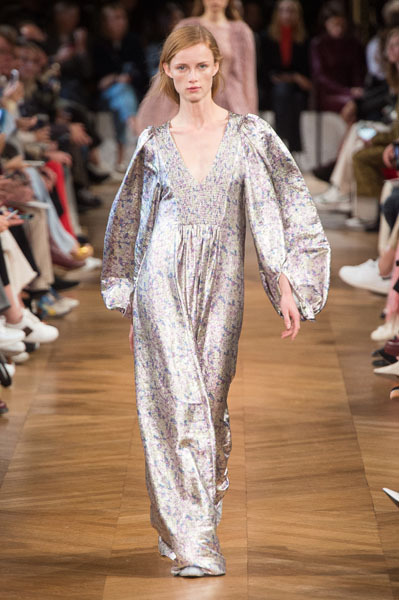 Formed of lurex that lends a lustrous shimmer to the chintzy floral pattern, I like how Naomi adopted the runway styling by keeping things very simple. It’s not often Naomi does boho, but there’s something about this look that I found very charming and calming.